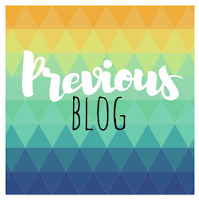 Well, it is a new Stampin' Up! year, kind of. The 2018-19 Annual Catalog just went live, and everyone is abuzz with the goodies we all want. Right. Now. But you know what? I bet all of us have stamp sets in our stash that we could not wait to get, but once we got them, we didn't do anything with them! Beautiful Bouquet is the set we are featuring this time, and it is such an awesome set! 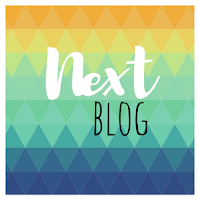 If you are following along in order, then you have just arrived from the delightful Dawn Tidd's blog. My hubby and I just had our 28th wedding anniversary! 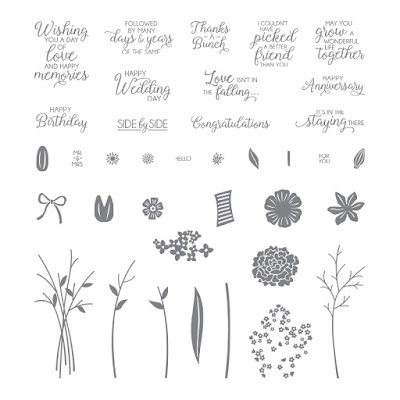 And this stamp set is pretty perfect for all things wedding and anniversary. 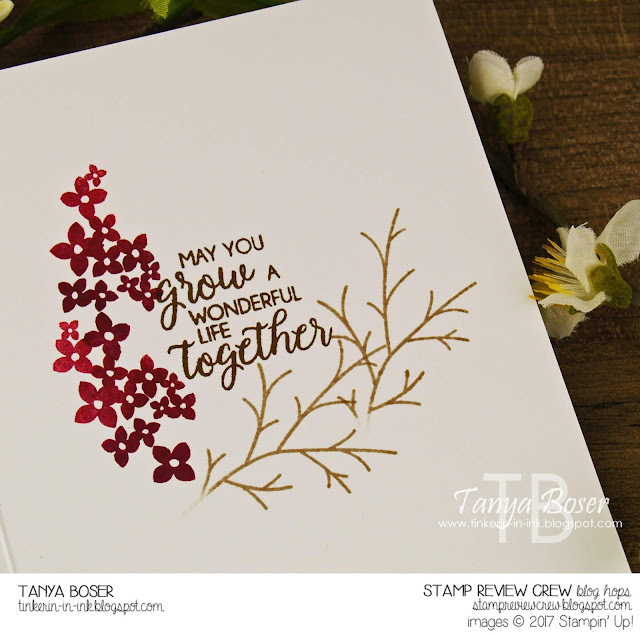 There are so many fantastic and touching sentiments in this set, you might find yourself sending cards for occasions you don't usually send them for! I know I try to remember the anniversaries in my family, but I don't often send cards. For the background, I did a wash of Pineapple Punch, Grapefruit Grove, and Poppy Parade. Drying and layering more color on a couple of times. That is what gives it the depth and variation that I love. 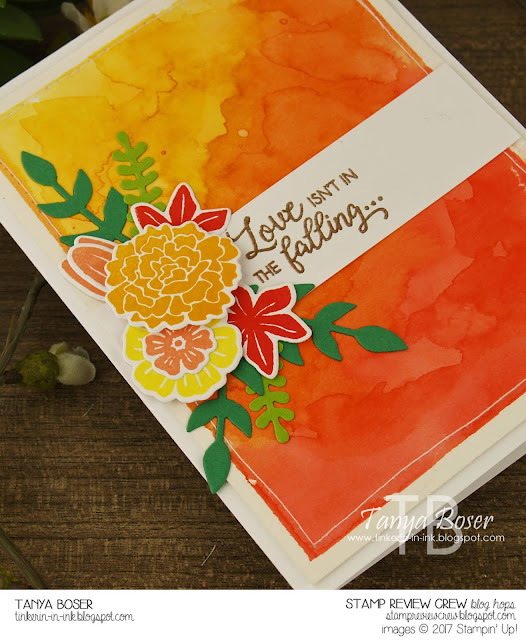 Then I stamped and die cut a bunch of flowers in the same colors, and the addition of Mango Melody. And leaves die cut from Granny Apple Green and Call Me Clover. The sentiment is Copper Heat embossed on a strip of Thick Whisper White and adhered to the watercolor panel. Of course, I stitched around the watercolor panel. Then all of the flowers and leaves were adhered with liquid glue or mini dimensionals. The inside is finished off with more stamping, and I did do a bit of masking here also. 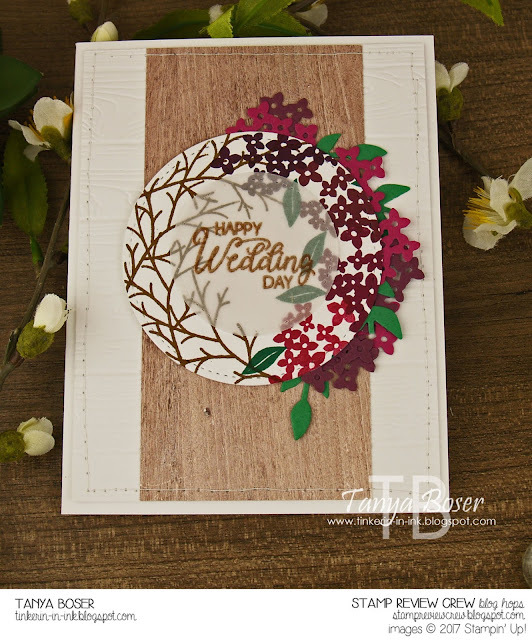 For this card I started out using the Wreath Builder jig and the twig image. I was going to do an entire twig wreath, but when I got halfway around, I was inspired to do it half twig half floral! It seemed very masculine and feminine, and very wedding appropriate! Now, I will confess that I almost did a watercolor wash night sky in purples and blues. But I thought I should try something else as I had just done a wash.
And copper embossing on vellum. The flower image was stamped in progressively lighter shades of purple. Starting with Blackberry Bliss, then Fresh Fig, Rich Razzleberry, and finally Berry Burst. Add some single leaves in Shaded Spruce. The Stamparatus helped with the shading on the flowers on the inside. I stamped the whole flower images first with Berry Burst, then add Blackberry Bliss on the bottom portion of the image, dabbing some of the ink off where it should fade into the Berry Burst. The twigs were stamped in Crumb Cake. That's it for me! Next up is the fabulous Kelly Kent! Oh my you do have a way with ink! 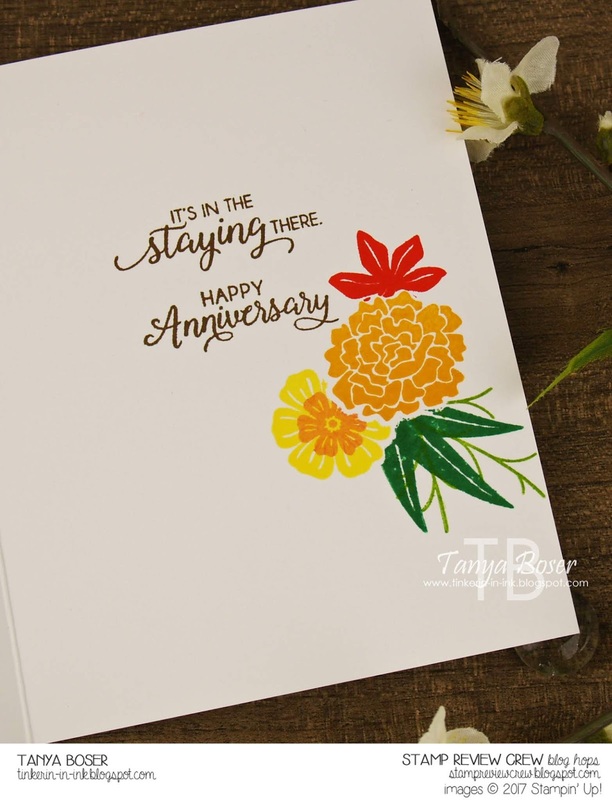 Love that inky background on your anniversary card! And Happy Anniversary to you! Your wedding cad is lovely as well! What a great duo of gorgeous cards! 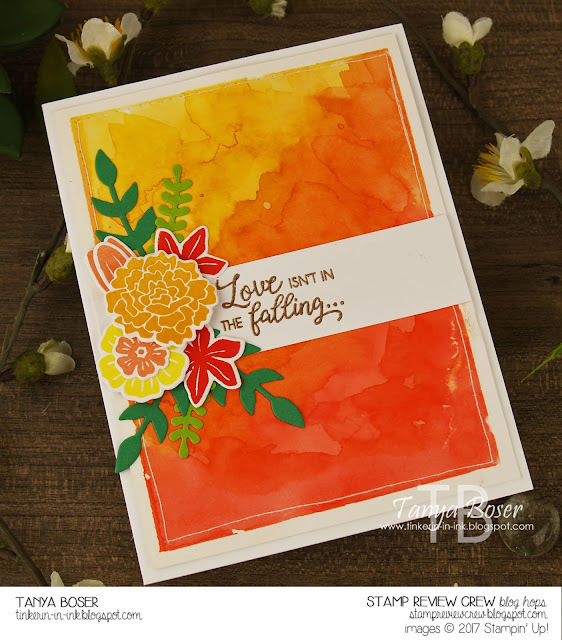 You are the queen of those water color backgrounds and this one is so bright and cheerful. I'm sure your husband loved it! I, too, love all things on the Woodgrains and this is no exception! Love your beautiful cards today. The bright watercolored background on the first one and the vellum on the second really caught my attention. Congrats on your anniversary. TFS. Enjoy your week. Happy Anniversary! Lovely cards. That inky orange background is fantastic. I agree, you are the queen of watercolor backgrounds. Congratulations to you and Jamie on your anniversary! I love the washed background for the anniversary card. The depth you achieved is so rich and gorgeous. 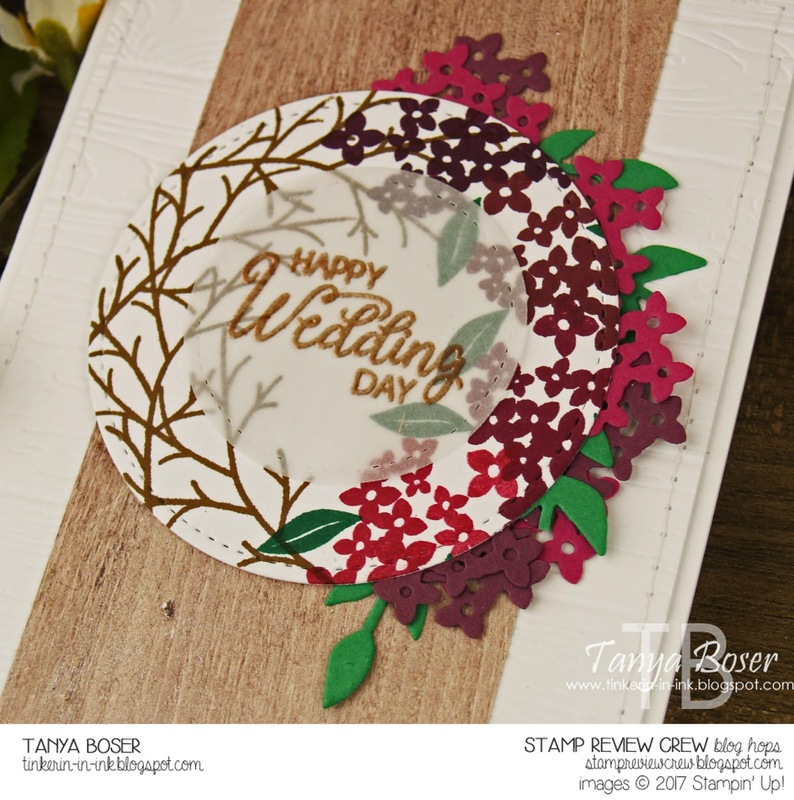 Beautiful cards, Tanya! I LOVE the background on your first card. Such a bright and cheery card. As for the twig-floral card...what a neat concept...half masculine, half feminine! This is such a great idea for a wedding card. I love how you took a detour from your wreath card! That contrast and complement feel really says what marriage is about, doesn't it? Congratulations on your anniversary, and prayers for many more happy years together! Love your backgrounds. The colors are so intensely beautiful, and even the inside is stunning! Two beautiful designs. Happy (belated) anniversary to you! I have been a wedding vender (Photographer) in the area for twenty five years and I have never been treated so well by a wedding venue like I was at this place. I am usually taken care of as a "last on the list" at venues, which I understand where the bride, groom and guest come first but the entire staff from the minute I walked in the Seattle Wedding venues door treated me so well.